The Great Hall was packed with students, faculty members, and community activists – the audience rumbled with energy, these were people ready to listen and ready to take action. FCG’s policy workshop on race relations called “From Conversation to Change” could not have happened without this very energy. Incoming second-year MPP Reem Hashim opens the workshop. Rather nervously, I had asked Professor Harold and Reem how they’d like to be introduced before they gave their keynotes. I wanted to get it right and make sure our distinguished guests were fully represented in their own words. Although Professor Claudrena Harold had written award-winning books and made films, she asked that she be introduced simply in two to three sentences, the same length as her student’s (Reem’s) introduction. I introduced our guest speakers simply and equally, and let them take the stage. They then both unspooled visceral, real narratives about the experience of race at the University of Virginia. 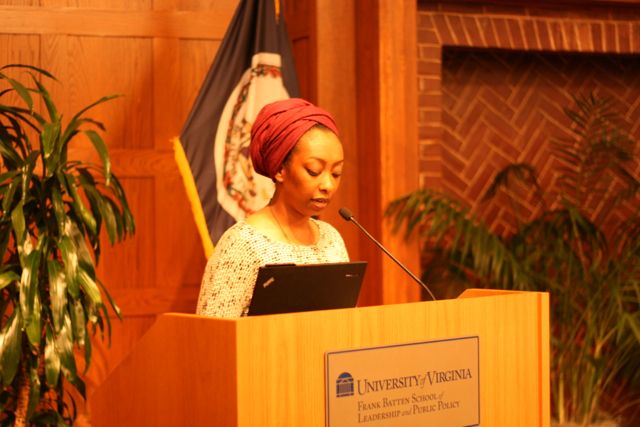 Dr. Harold gave opening remarks on the history of race at U.Va. Likewise, at each round table at the workshop, diverse participants from all levels of authority and experience were at that moment equals – we were all concerned members of the community ready to listen, and ready to take action. At the end of the workshop, which was led by Batten’s innovative design thinker Professor Mahoney, each table had notes etched onto large note pad paper, inky drawings of participants’ vision, and musings of ‘next steps’ for implementing their ideas. I believe the physical marks left behind reflect a bit of the immense learning that went on at each table. At my table, we learned from Michael, a Ph.D. Nursing School student, that healthcare access in Charlottesville was difficult for specific segments of our community. We learned from Adele, a concerned student and a member of the Living Wage campaign, that UVA workers may lack a safe space to voice their concerns. It would be hubris to think FCG could help generate “solutions” to community problems, but it would be an understatement to say that there was no value-add. We learned from one another, regardless of background and authority. 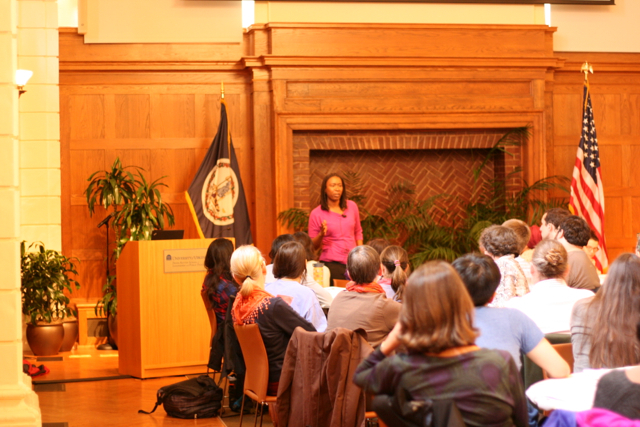 We used the central Great Hall at the Batten School of Public Policy to say we care. We used new toolkits to address a community issue together. As I graduate for the second time as a Double Hoo from UVA, I want to thank FCG for their genuine desire to create formative, lasting change, and to involve their community in this process. I am grateful that we lead by enabling others to lead, and hope that we will iterate and learn from events such as the workshop we put together. 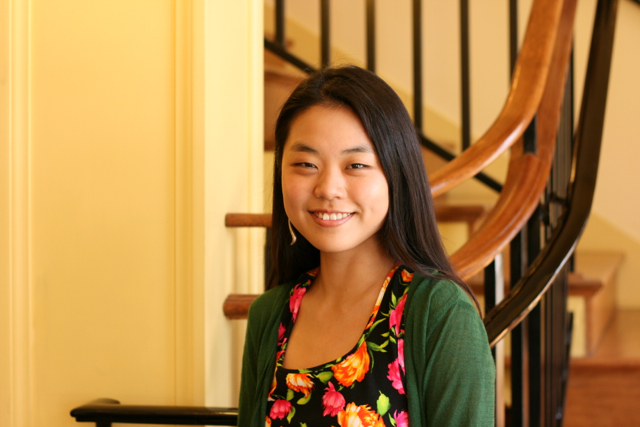 Jenni Jung is the outgoing Alumni Relations and Special Events Chair, and will be graduating in May 2015.